How we human beings strive to be seen as important in our world. Some people will trade everything that should matter to them in order to be powerful and important according to the world's assessment. But perhaps we should remember how we look when seen from a different point of view. Isaiah tells us that we look like insects from where God is sitting (Isaiah 40:21-31, Epiphany 5B). God sits above the circle of the earth, and the earth's inhabitants look like grasshoppers. With that in mind, you can probably work out the subject matter of the contemporary painting below. 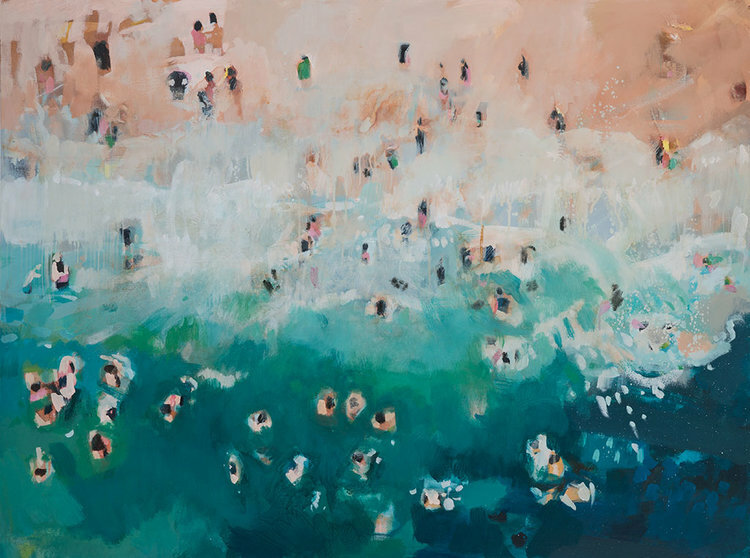 Painter (and surfer) Nina Brooke has painted the beach from above. This view is closer to what the prophet describes in the lectionary text. The individual people look like small dark smudges against the tan of sand, the white of waves and the blue-green of the water. No individual features are recognizable. No distinctions of class or race are easily evident. The people move as groups and individuals, they move closer together and father apart, echoing the ebb and flow of waves and tides. The view from above can be no more detailed than that. And yet, God's care is for each of those moving specks. God has promised that each of those little faceless specks can, if they wait on God, renew their strength. Each of those featureless dots can, if they wait on God, mount up with wings like eagles. Each of those indistinguishable blobs can, if they wait on God, run and not be weary. Each of those ant-sized beings can, if they wait on God, walk but not faint. They just have to wait on God. In other words...Patience (but wait eagerly), young grasshopper. 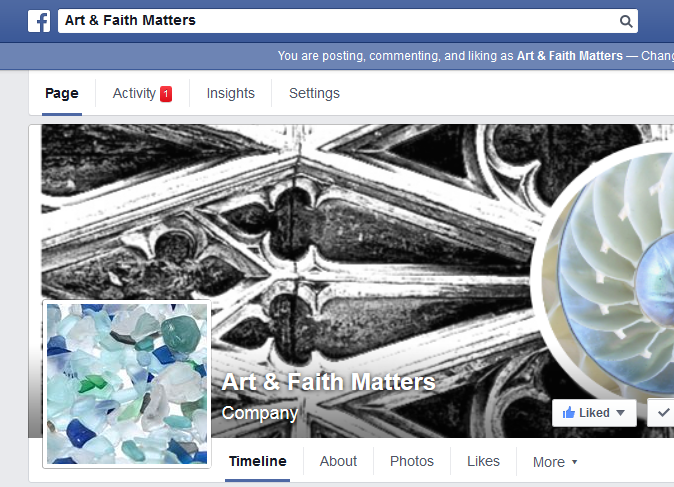 This week on Art&Faith Matters' Facebook page, how we, in 1936, got a little closer to God's view. For thoughts on Jesus' search for a deserted place in this week's gospel reading (Mark 1:29-39), click here.